Today was my third installment of sewing with Shelley. My mom and I have been making retro-inspired dresses for ourselves. Today we chose buttons and pinned all the trim in place. There is something about the act of making things with your hands- seeing the materials that go into it, piecing it together, making it fit and work. The steps leading up to a finished product are so often overlooked. It makes you appreciate a final product. It’s nice to work my hands at something. 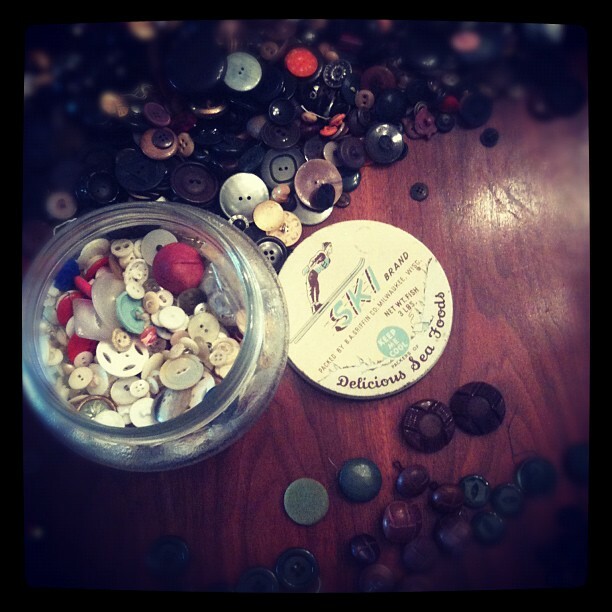 Sorting through buttons today was kind of a hoot.